We are proud to support our charity partner, TREE AID, to plant trees and alleviate poverty in the drylands of Africa. For every tree sold through Blue Diamond garden centres, Blue Diamond donates £1 to Tree Aid. For every £1 donated, Tree Aid is able to plant a tree in Africa which provides food or a source of income to those in Africa who need help the most. 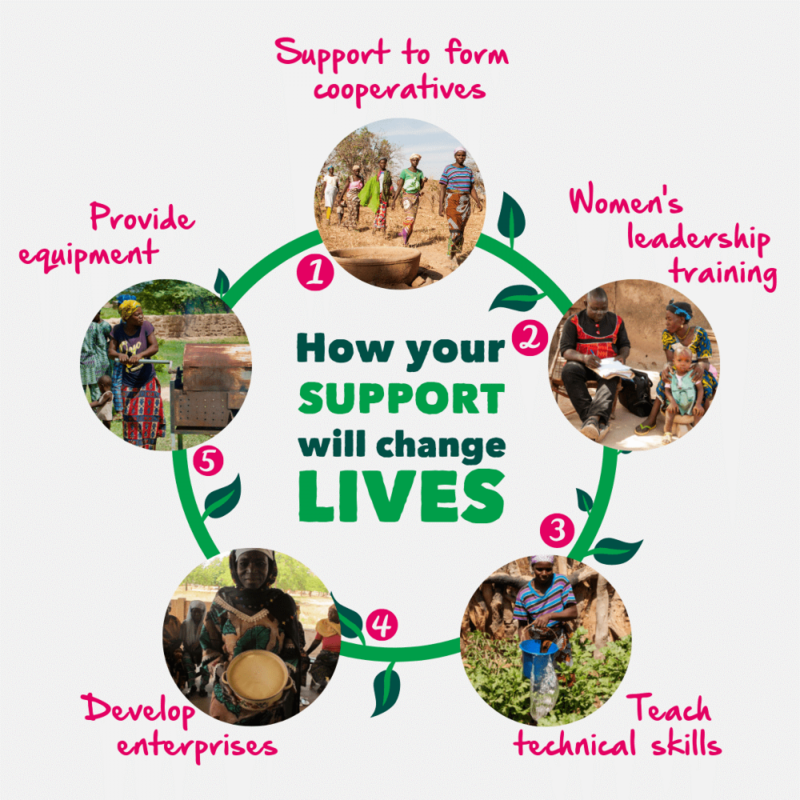 You can help TREE AID support 1,000 women in Mali to grow themselves and their families out of poverty using the power of trees and enterprise. Donate to TREE AID’s She Grows appeal before 30th June 2019 and your gift will be doubled by the UK government. Mali is not an easy place to be a woman or a mother. It is one of the world’s poorest countries. The majority of women depend on the land for survival but deforestation and frequent droughts are making this even harder. The environment is declining fast. With little food to feed their children and no way of earning an income, women are facing a struggle for survival every day. 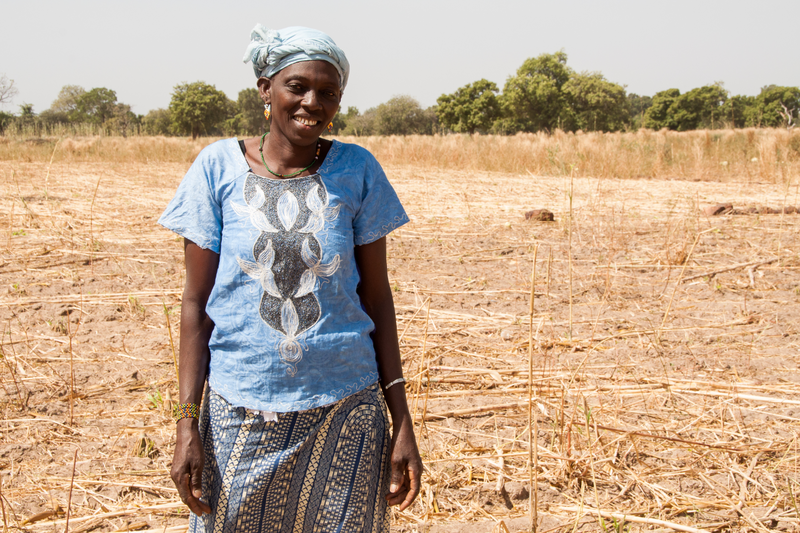 TREE AID supports women in the drylands of Africa, including Mali, to use the power of trees to grow food to feed their children and earn an income. Trees are a lifeline, providing fruits and nuts all year round, for generations to come. TREE AID provides the training and tools a woman needs to turn these tree products into nutritious food and goods to sell at the market, such as shea butter, enabling her to grow her way out of poverty. When women are supported to set up enterprise groups, they can send their children to school and help lift others in their community out of poverty. What’s more, when they learn how to grow trees to protect their fragile environment, the effects of this are felt for generations to come. Setou from Koulikoro in Mali is one of the 1,000 women who will benefit from TREE AID’s She Grows appeal. TREE AID has successfully set up women’s cooperatives in West Arica to support women like Setou. With the right tools and training, members’ income from the fruits, nuts and seeds grown on trees has increased by up to 75%. Some of the first training sessions TREE AID will run in Setou’s community will train women cooperative members in soil and water conservation, how to look after existing trees and how to produce and plant seedlings. You can help a woman like Setou in Mali to grow her way out of poverty with the training and tools to make money from trees. Donate to the She Grows appeal before 30th June 2019 and the UK government will double all donations from the UK public. Visit the TREE AID website to donate and find out more:www.treeaid.org.uk/shegrows. Match funding from the UK government will be used to help 1,000 women in Mali to grow their way out of poverty using the power of trees. Your donation will fund similar work helping communities across the drylands of Africa. £20 could give a woman trees and teach her how to grow and care for them. £50 could give a woman tools such as bowls, pestles and mortars to collect shea nuts and turn them into shea butter to sell. £75 could train a woman in the skills she needs to earn and income from selling nuts and tree products at market.